Quiller Press 1986 First edition, second impression. 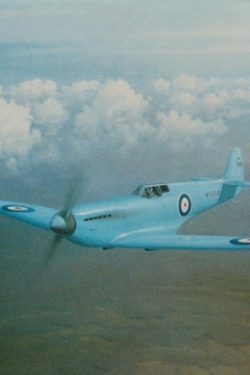 160 pages including numerous photographs and colour plates. Fine condition book in blue boards with gilt titles and a Fine condition dustjacket. 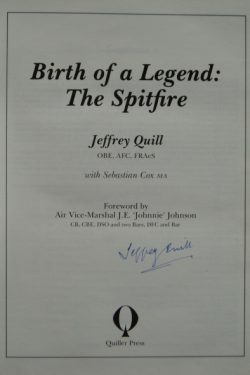 This book was published for the Spitfire’s 50th anniversary and Jeffrey Quill recounts the events leading up to its dramatic and triumphant birth and of the precarious first few years of its development. 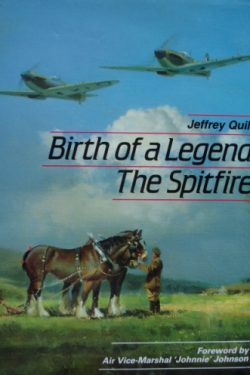 As Supermarine Chief Test Pilot, the author’s life was centred on the Spitfire and nobody was better qualified to write this book.